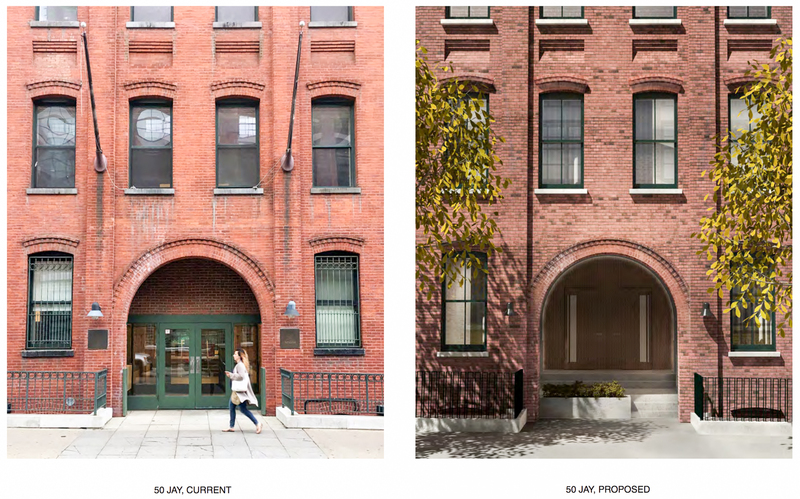 Plans have been sent to the Landmarks Preservation Commission for a redesign of 42 and 50 Jay Street in DUMBO, Brooklyn. The two buildings were constructed in 1921 and 1891, respectively. 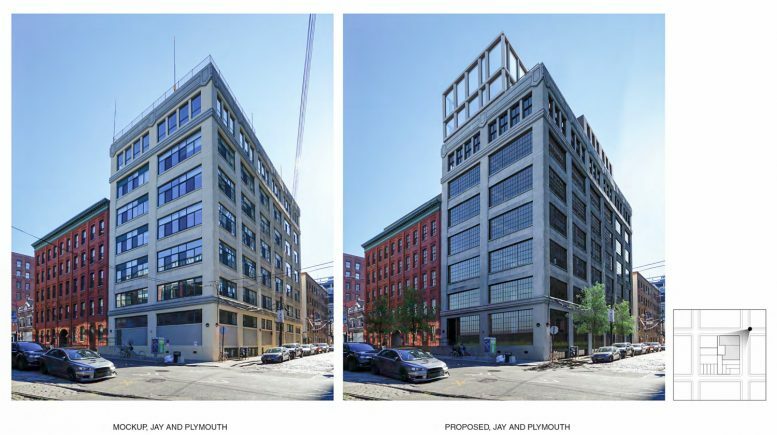 The proposal would reintroduce period-appropriate windowing, cleaning of the façade, and additions to both rooftops. 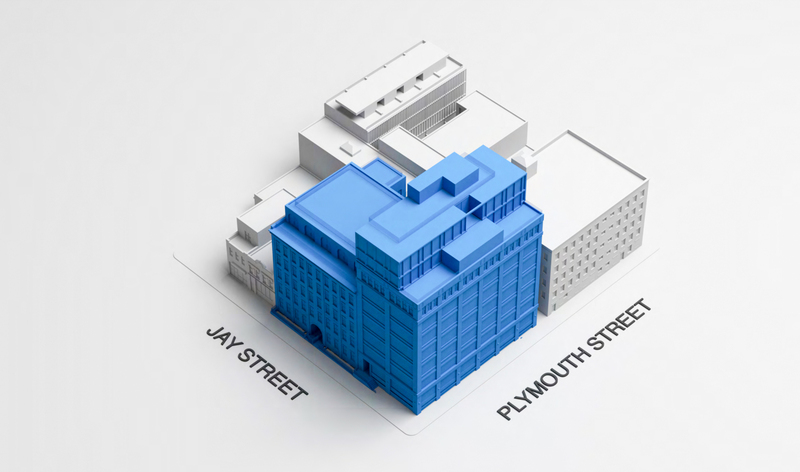 Alloy is both designing and developing, and the site will be renamed 168 Plymouth Street once complete. Alloy Design is responsible for designing the new structure. The existing structures will be refurbished to resemble their historical past, while the additions on the roofs reject the 19th and early 20th-century styling. Influence comes from the nearby DUMBO Townhouses and 1 John Street. The 137-foot tall structure will add over 20,000 square feet to yield a total of 92,250 square feet. 46 apartments will be created, averaging 1,850 square feet apiece, confirming condominiums. Residents will have a lobby, courtyard, fitness center, accessory storage, and laundry in each unit. The seventh and eighth floor will both feature two penthouses with terraces, with the 9th floor dedicated to a four-bed, full-floor suite with an outdoor terrace. Permits were filed for the structure earlier this month. 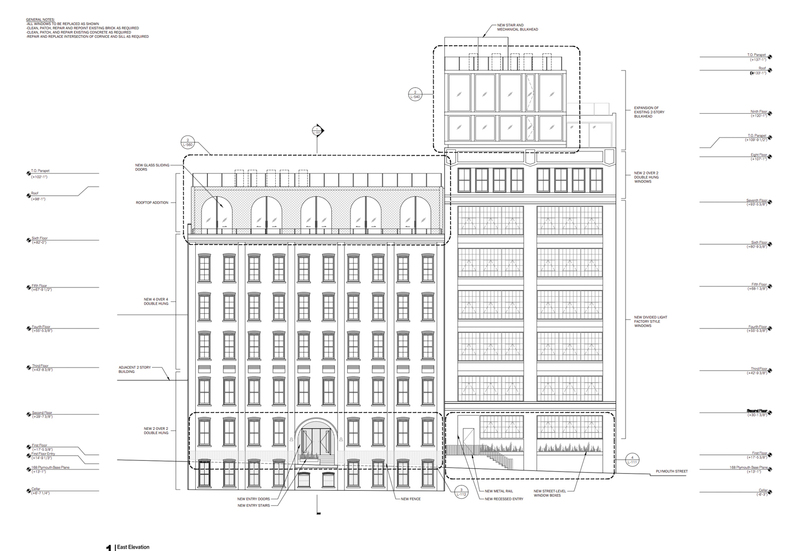 The filing is now subject to review by the LPC, which could force reconsideration of the design, putting any speculative completion date in question. 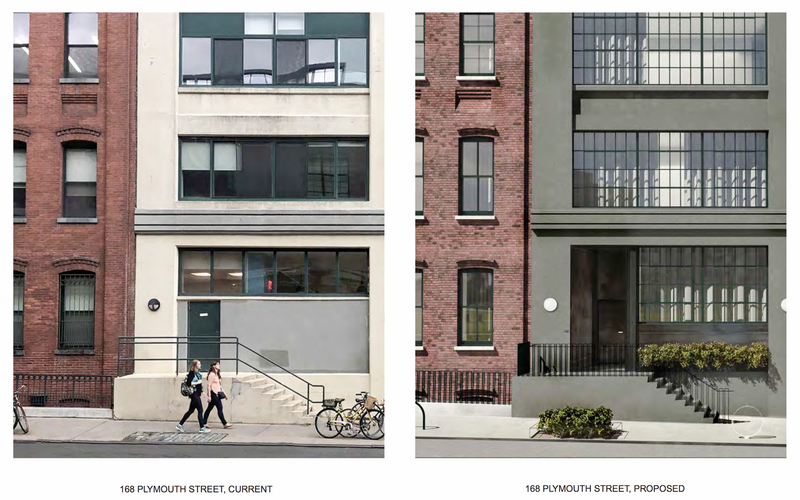 2 Comments on "Renderings Revealed for 42-50 Jay Street, aka 168 Plymouth Street, DUMBO, Brooklyn"
Please pardon me for using your space: Changeable appearance and evidence showed on plans.